For trekkies I found this on the tube and is he hinting at Jean Luc returning to the big screen? However Patrick Steward will leave a role if it’s bad so I am sure it’ll be fine. 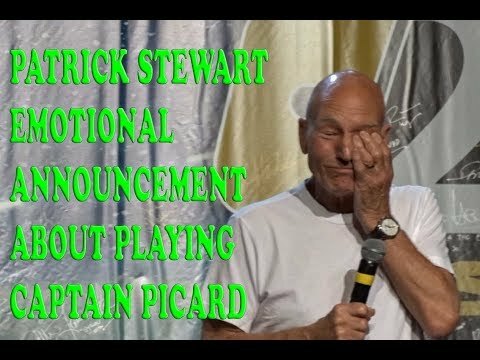 Yep new series about Picard after Starfleet. Should be interesting as long as it doesn't get too bogged down in relationships… I was never a fan on Star Trek episodes where that happened. 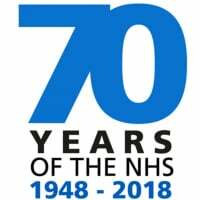 Much more interested in the unpredictable episodes about new ideas and exploration of new worlds and concepts, especially where time travel played a part... The City on the Edge of Forever still my all time favourite. i just came in to see if i could guess the posters. yup, I totes nailed it!!! Do you think they will finally have Darth Vader in this series?? Predictably unpredictable Is what you're saying then ? Which is the one with the flute when he lived an entire lifetime in the past? That has got to be my favorite one. That was The Inner Light, very good episode, a lifetime lived within a few minutes. Voyager had kind of a similar concept with a planet where time passes thousands of times faster than the rest of the world (Blink of an Eye). A nod back to the TOS episode Wink of an Eye, also my favourite with the time accelerated people sounding like buzzing insects. 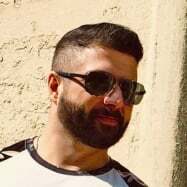 They will port 0.11 to VR once that is out in the near future. But 0.9 is still a lot of fun to mess about in. Im happy to see more TNG but I do wish Blunt talk had continued though. you are a true fan Mr Mogrum! I haven't tried that LZ, don't know why! I remember there was an Enterprise-D Bridge done during the DK1/2 days by Enda O'Conner, wonder if the current one is a development of that, I'd forgotten about it. Non VR 0.10 has tonnes of improvements, better crew models, better lighting and textures, little missions, working replicators, etc etc .. I actually started to get into Discovery after a while (but then again I liked Enterprise, which most people seem to hate). But it was definitely a different direction for the franchise. I guess I just like Tardigrades. And Tilly. Tilly is awesome. But the new klingon design is stupid. Screw that. 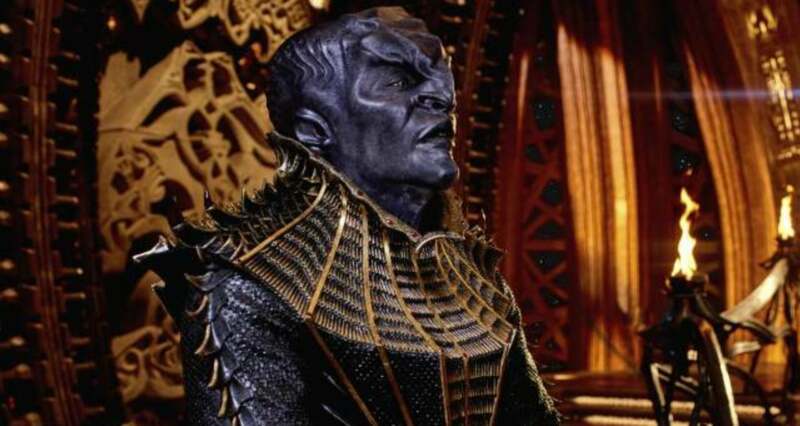 Klingons in discovery served a main story arc, they needed to be fearsome, armoured, regal, ruthless and imperial feeling. I think the design was outstanding. It made them more "Menacing mofo's that could kill you with their pinkie" and not "I have a scar on my forehead and always sound like a Scottish drunkard in a Pub in Glasgow"
I think they were finally given the actual look they deserved, and the set pieces for the ships interiors were glorious. Opulent, violent and over the top .. just like Klingons should be. I'm ashamed to say I'm a huge STD fan. The dark side of this series is a breath of fresh air. Roll on series 2. And cheers LZ downloading now !!!! STD was awesome, cant wait for Season 2 ... a trek series that looked like a mini-movie, every episode .. 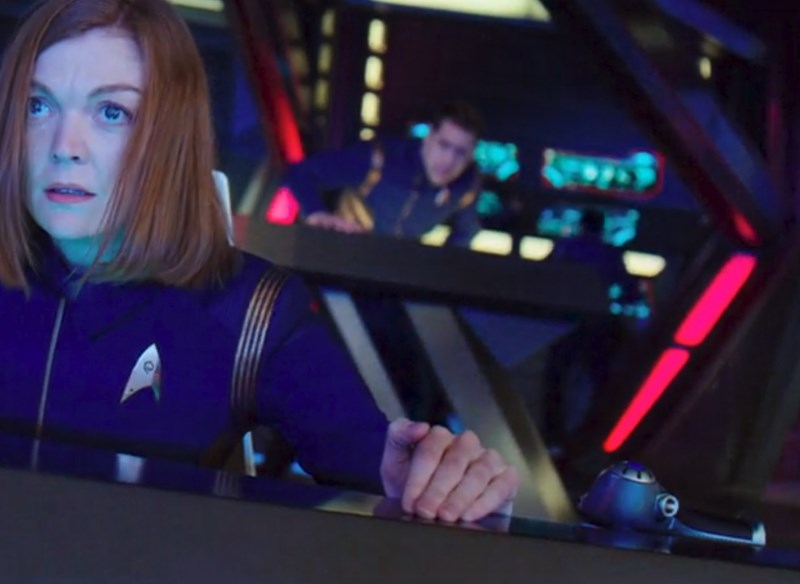 The season 2 trailer looks promising... just having Captain Pike on the bridge in proper command colours is enough for me. Red is for engineering & security... and expendable away-team members. I loved STD and yes i hated the look of the Klingins but and least keep the way they speek the same. Klingon is a harsh gutteral language derived when the gods of metal got scracthy throats. Not a soft spoken pained whisper. Yes the first season of enterprise was hit and miss but the second one was really good. Shame it got axed so early. Look at TNG and DSN the first few seasons were hit and miss them Bam! Capt Sisko was a badass. Not the ambassador or explorer of either Picard or Kirk but if you had to bear down and give what you get with limited resources Sisko was the man you want in command. Hands down worst of all time was Capt Janeway the only redeaming factor was Seven of Nine in skintight Lycra. 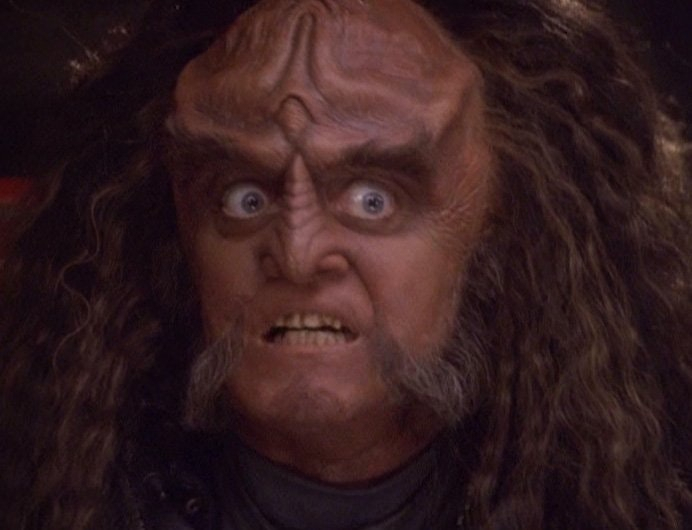 No design can match the coolness of Gowron! I guess I'd just prefer some more variety of species. Rather than changing so much of the klingon design, make a new species. I liked how DS9 brought the Cardassians to the forefront then Jem Hadar, Voyager had a bunch of new ones like Species 8472 (although too much borg, I don't like borg), Enterprise has the suliban, xindi and even fleshed out the andorians into a much more interesting species. I would have liked them to focus on a different neglected star trek species and revamp them. Otherwise getting klingons is a bit like watching doctor who and it's yet another dalek episode. Or my main pet peeve with scifi shows, maybe they should have taken a little bit of that klingon makeup budget and used it to not cheap out on the set design for the pilot episode's ship. They fly it using an unmodified Saitek X52 throttle! Come on, at least save up and splurge for a HOTAS Warthog like The Expanse and Lost In Space did. Except I haven't posted anything! Am I the only Trekkie here that hates STD? Loved Enterprise though. Excellent series.